Barcelona experienced a 6.8% hike in the number of professional meetings held in 2011 compared with 2010, with delegate numbers up 5% and contributing around EUR 1.4m (£1.12m) to its economy. According to data released by the Barcelona Convention Bureau, 2011 was the city's second consecutive year of meetings growth, with 2,283 meetings (each involving 40-plus attendees) and a total of 647,693 delegates generating over 2.5 million overnight stays. More than four-fifths (81%) of meetings attendees were from outside Spain; conventions and incentive meetings were up by 3%, amounting to a 7.6% rise in participant numbers and a 7.9% increase in overnight stays. 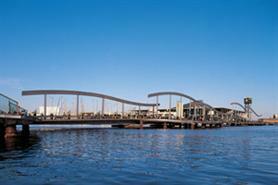 Barcelona Convention Bureau said its activity generated 4.9% of all meetings, an increase of 10% compared with 2010.